Byothea is the new professional line of cosmetics by Exi professional products to natural inspiration for the exaltation of the beauty of all people. A full range of cosmetic products for the treatment of imperfections ofthe face and body, in accordance with the physiological balance of the skin. 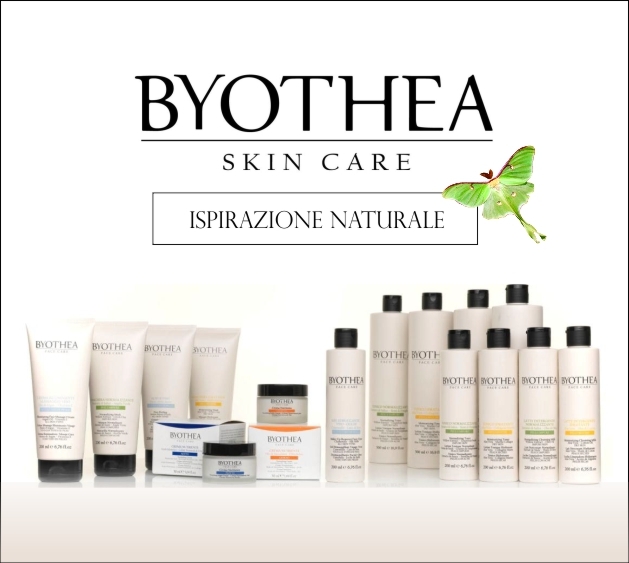 Byothea develops its productswith the utmost attention to the selection of ingredients, emphasizing the active ingredients of natural origin.All products are Nickel Tested or have an amount of nickel less than 1 part in a million, no parabens(preservatives used for bactericidal and fungicidal properties), GMO (substances or raw materials extractedfrom plants genetically modified plant) without sLES (sodium lauryl sulfate) and without SLS (sodium lauryl sulphate). Essential oil reduces stagnant fluid. Eliminates toxins. Counters build-up of localized adipose. Act..
Firming serum Intensive toning treatment formulated to revitalize and tone. Increases tone and el..